It’s another installment of the weekly Tubefilter Chart of the Top 50 Most Viewed U.S. YouTube Channels and a toddler is still in the top spot. Ryan ToysReview held onto its first-place position on the U.S. chart for the fifteenth week in a row. The four-year-old Ryan’s eponymous YouTube outpost for his playtime footage and unboxing clips climbed up 7% in views to top out at nearly 182.6 million views on the week. In the #2 spot is Chainsmokers. The DJ duo is back up towards the top of the charts, closing out the week with more than 153.2 million views. Toy Freaks is next up in third place. The heightened version of your regular family YouTube vlog channel took home more than 149 million views during the week. WWE is up next in the #4 spot. World Wrestling Entertainment’s home on YouTube ended the week up 47% to amass about 123.3 million views. And rounding out the Top 5 is Trap Nation. The YouTube channel for all your trap music listening desires racked up more than 92.2 million views throughout the week. The honor of one of our Top Gainers this week goes to Metallica. After a contentious relationship with digital distribution and music streaming services over the past couple decades, the American heavy metal band with no less than eight Grammys and 110 million records sold worldwide decided to release its latest album on YouTube. 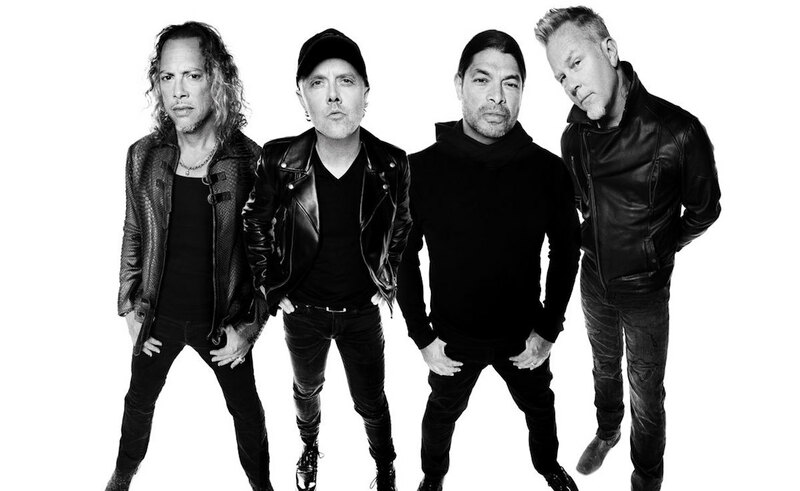 Hardwired…to Self-Destruct is the band’s tenth studio album and hit the world’s largest video sharing site in its entirety on November 16, 2016. Since then it’s gotten a lot of views, catapulting Metallica’s YouTube channel to a 253% week-over-week increase in views, more than 36.6 million views on the week, and the #50 spot on the U.S. chart. VEVO: 18 channels in the U.S. Top 50, with Chainsmokers the top-ranked channel of the network at #3. Studio71: 3 channels in the Top 50, with FamilyFunPack at #13. BroadbandTV, BuzzFeed, Movieclips, NBCU, WMG: 2 channels each in the Top 50, with BBTV’s WorldStarHipHip at #12, BuzzFeed’s BuzzFeed Video at #19, Movieclips’ Movieclips at #26, NBCU’s Saturday Night Live at #36, and WMG’s Fueled By Ramen at #14. As always, keep up to speed with the latest Tubefilter Charts and all of our news at Tubefilter by subscribing to our newsletter, following us on Twitter, becoming a fan on Facebook, and watching our videos on YouTube.